Quote: Tonight’s show is a special one, not just because it’s Goldblum’s first time back in a while. In the audience is Grammy-winning record producer Larry Klein, who will produce (with Mastro) a live album for Decca Records at the Capitol Records Building next month. 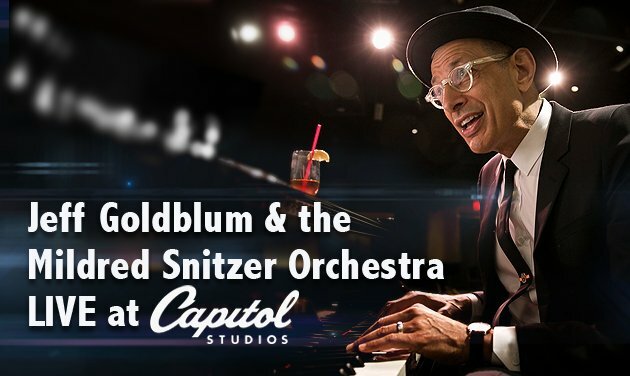 You are exclusively invited to this very special, intimate evening of incredible jazz music & comedy all performed live by Jeff Goldblum & the Mildred Snitzer Orchestra. Being filmed on May 18 & 19 at the world-famous Capitol Records Studios. Do I know anyone in #LA that would like the chance to see Jeff Goldblum make music at Capitol Studios tomorrow or Saturday? @JWAssembly Hi @ApplauseStoreUK here, We have a free Jeff Goldblum gig at Capitol Studios, LA this Friday 18th and Saturday 19th May at 7pm. Use Promocode: JEFF to request tickets! Quote: Anna Wawrzynczak shared a link to the group: Los Angeles Jazz Society. Quote: Julee Spanier is at Capitol Records. Anyone have a car we can borrow for the weekend to head to L.A.? We won tickets to be part of filmed event where jeff Goldblum plays piano! Not sure if our truck can make it! It's kristine's birthday!! Ed Begley JR was there. I've seen a couple of mentions of Sarah Silverman, she apparently sung, but none of Haley. "Catch ya at @largolosangeles one of these days"
Why: Largo (formally, Largo at the Coronet) is a rare venue where music and comedy rub elbows, where performers take chances, where big names turn up on stage and in the crowd, where audiences really concentrate. So don't show up late; once the show starts (usually 8:30 p.m.), the doors close and that's that. Looks like "Sarah Silverman & Friends" have played there for years. Their next show there is Saturday, June 2nd. SarahSilvermanOnlne.com says, "She does that show once a month when she’s available." So lovely to meet you, Kitten!! 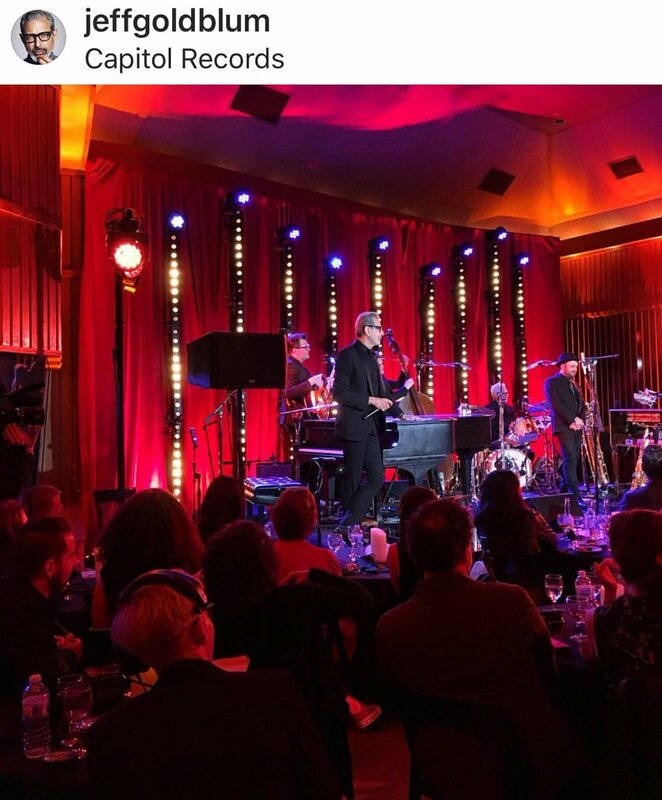 I don't expect musical magic from Haley's appearance with Jeff Goldblum (because the band doesn't rehearse set numbers and he seems to focus on the audience as much as the stage), but I think it's a great connection to have and I regard her being asked to take part in his recording as an honor. Can't wait for you to see & hear this #JeffGoldblum & friends! Soon! Current time: 04-23-2019, 10:21 PM Powered By MyBB 1.8.19, © 2002-2019 MyBB Group.